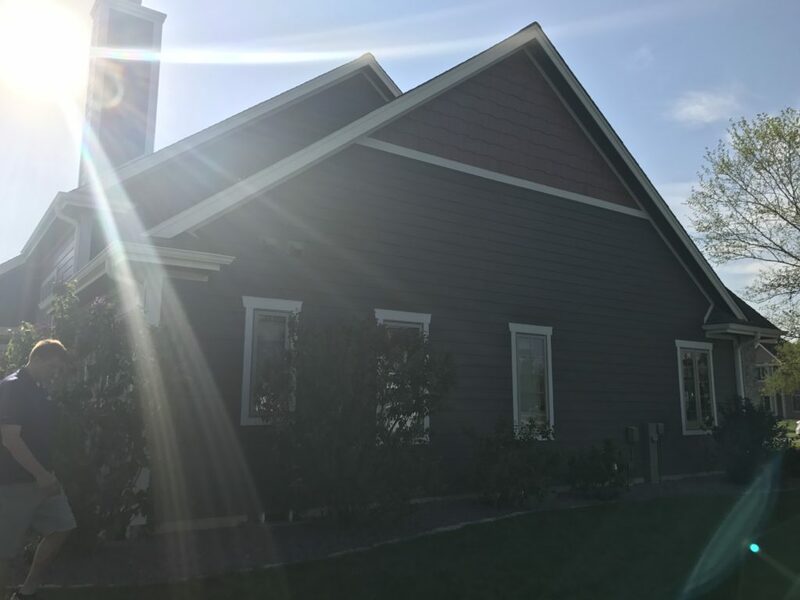 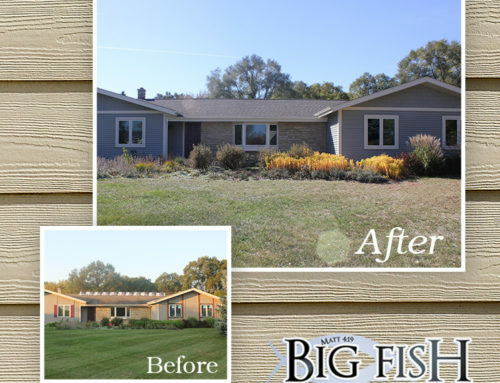 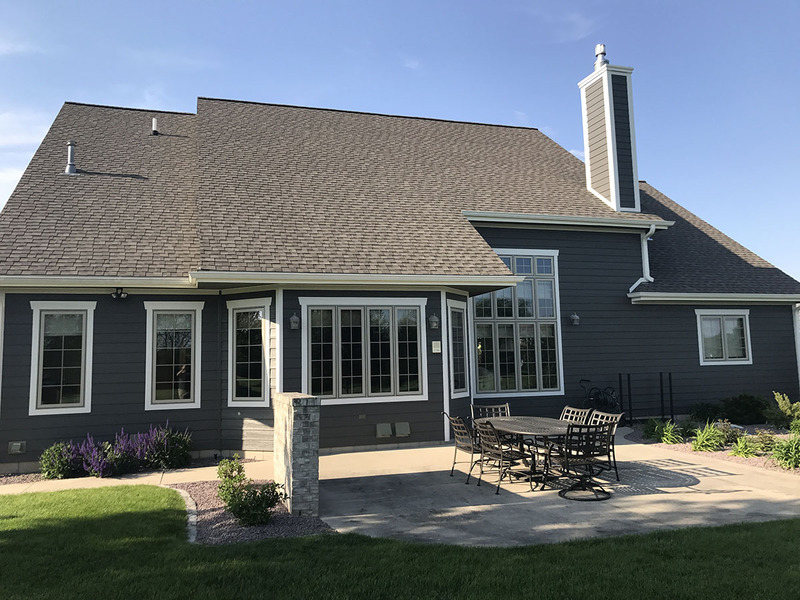 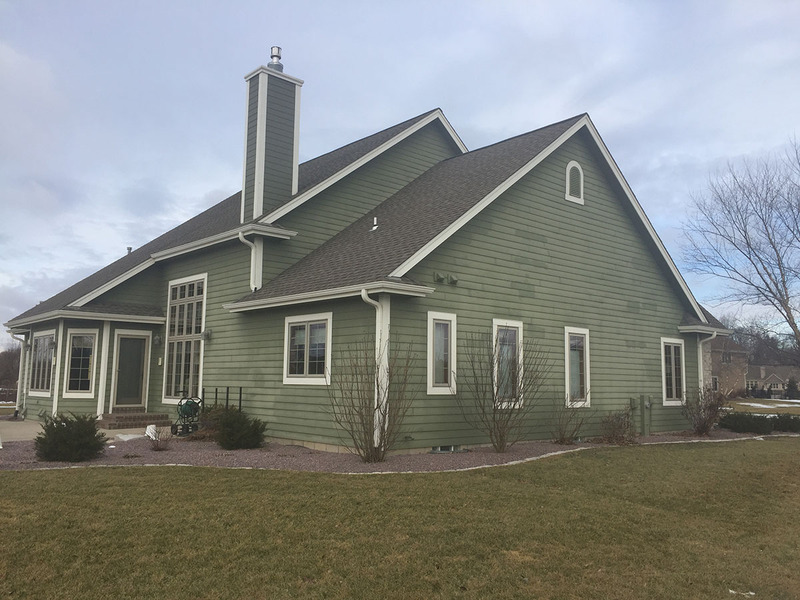 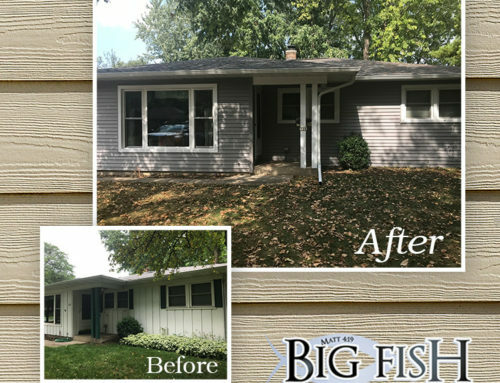 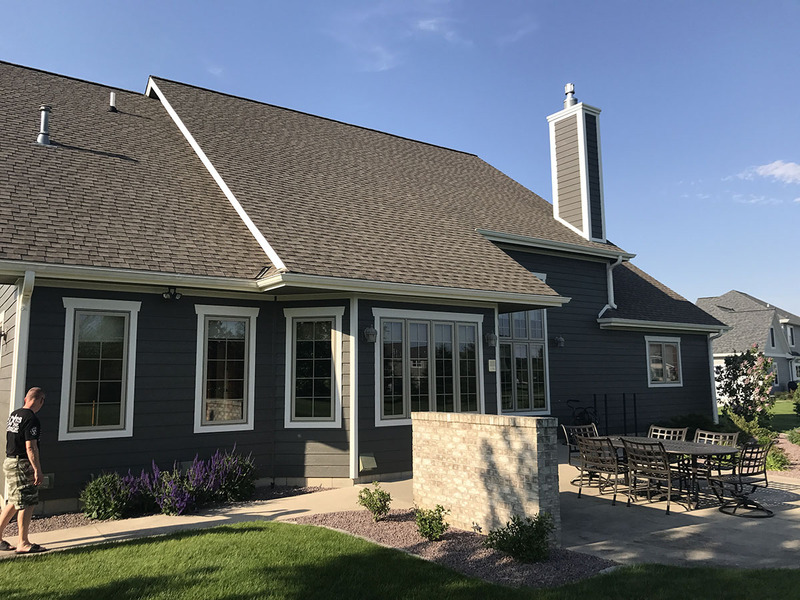 Big Fish Contracting tore off 12-year-old fiber cement siding that was not performing well, installed Tyvek house wrap with seam tape, and new LP Smartside horizontal lap siding and LP Smartrside cedar strand trim with a decorative LP Smartside shake in the gables. 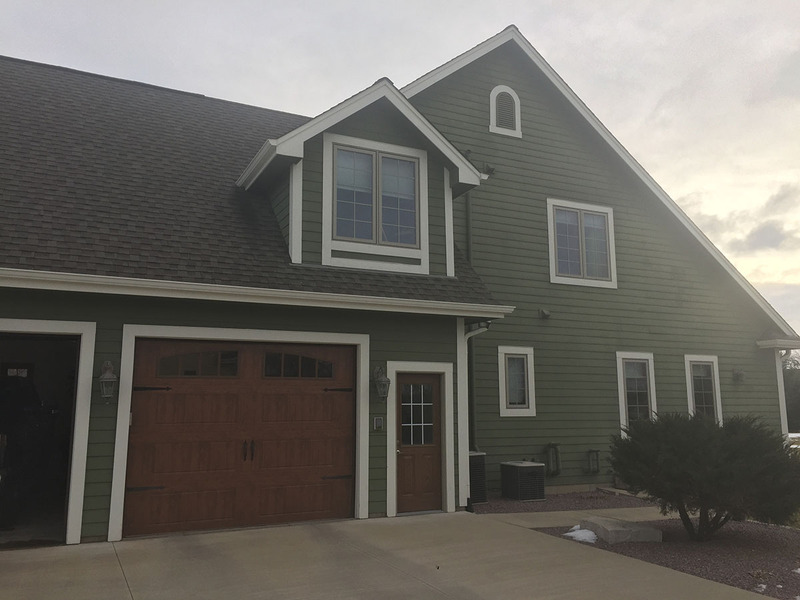 The horizontal lap siding’s color is Quiet Willow, which is a pre-finished stock color. 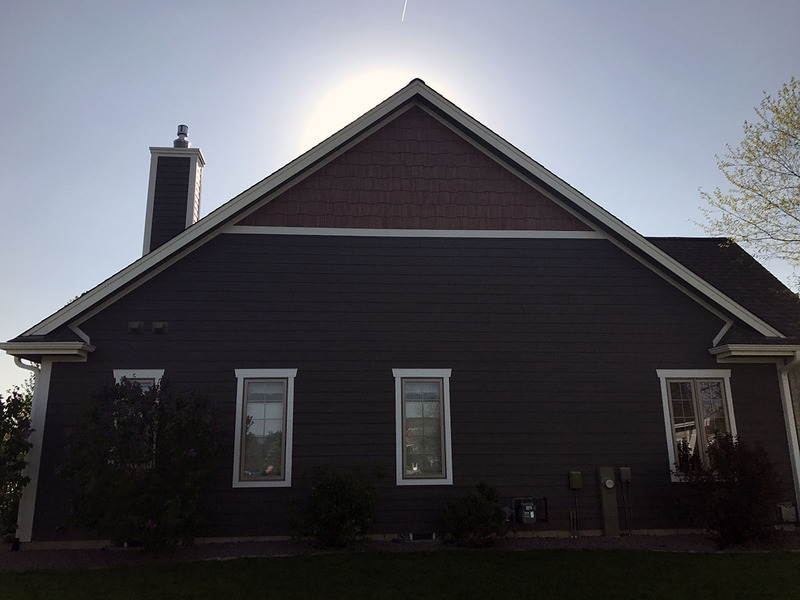 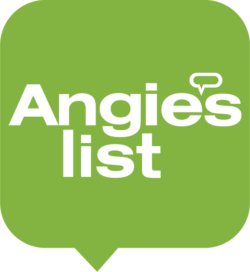 the trim color is Cameo, which is also a stock color and the Shake in the gables is a beautiful Diamond Kote wood grain color pallet. 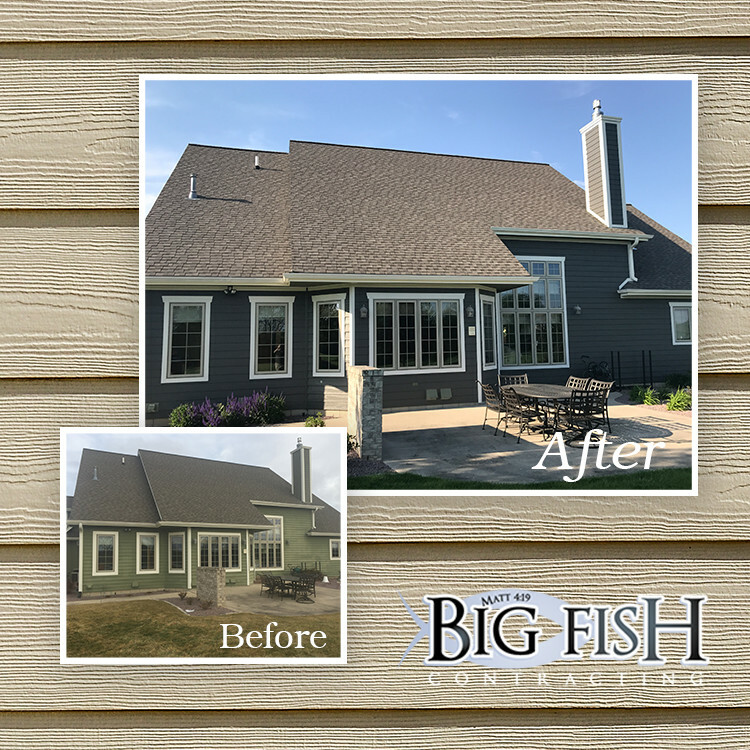 The Diamond Kote finish gives homeowners the authentic look and feel of natural wood, without any of the long-term maintenance. 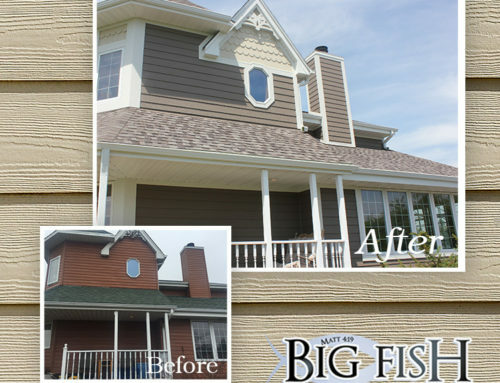 You can also see the creativity of Big Fish Contracting in the trim detail over the windows!